Your location. Our staff. Let's cheer! DistinXion Cheerleading Camps are jam-packed with cheerleading, character, and summer cheer fun! At a DistinXion camp, your squad will have the opportunity to not only gain elite cheerleading training, but also elite character development including lessons on respect for yourself and others, humility, and attitude, College coaches not only look for talented cheerleaders, but for cheerleaders with high character! DistinXion offers private team camps that are affordable and convenient! 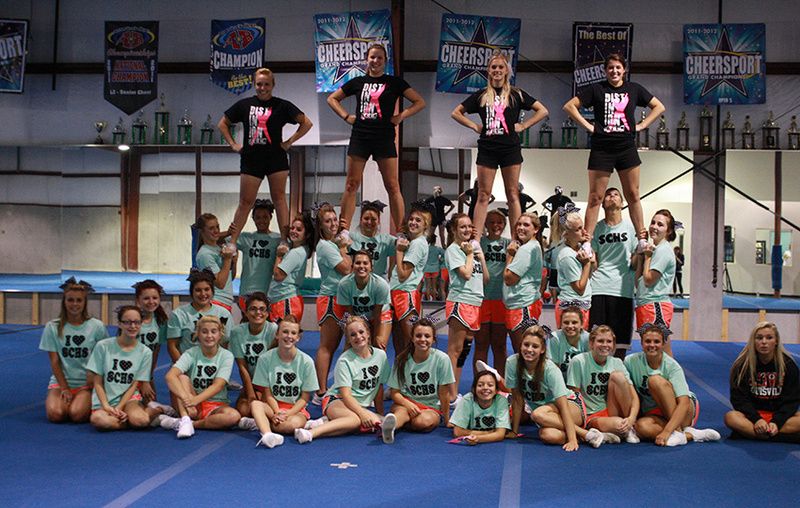 We will bring our DistinXion Cheerleading staff to your school for a cheer camp of non-stop training. Our Cheerleading staff is made up of current/recent college cheerleaders that will be positive role models for your squad, as they provide personalized training that can be specialized to your squad’s strengths and weaknesses. Our staff is dedicated to developing cheerleaders athletically and personally! Request a DistinXion cheer camp! Fill out the form below to request a cheer camp or to get more information! We will personally get back with you within 2 business days! Thank you for your interest in bringing a DistinXion Cheer Camp to your community!